VASTS, VESSS and Virginia Space Coast Scholars wrapped up another successful year with the Virginia Space Grant Consortium. Almost 500 students participated in the VASTS (Virginia Aerospace Science and Technology Scholars) online class with 175 attending the Summer Academy at NASA Langley. These students represented over 175 high schools throughout Virginia. 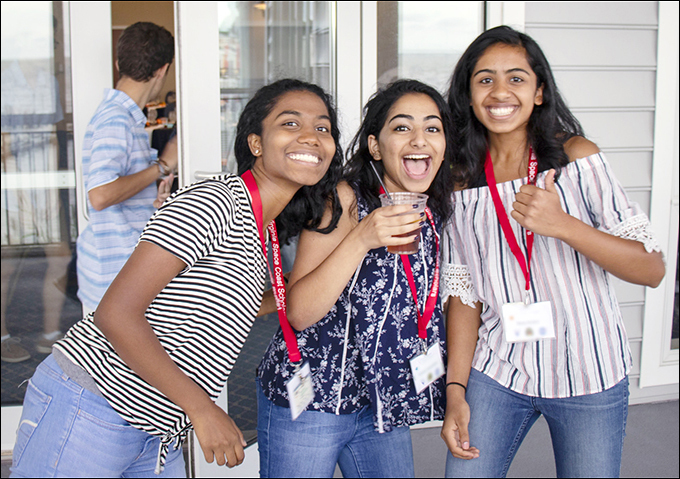 One hundred and eighty students, representing over 100 high schools, enrolled in the VESSS (Virginia Earth System Science Scholars) online program. Almost 90 attended the Summer Academy. Over 300 students, representing over 150 schools, completed the Virginia Space Coast Scholars online program. Eighty-five students participated in the Summer Academy at Wallops Island. This year students at VASTS and Space Coast were treated to a downlink question and answer session with astronauts aboard the International Space Station. Video of the Space Coast Scholars downlink with astronauts Ricky Arnold and Drew Feustel can be seen here. Video of VASTS students interaction with European Space Agency Astronaut Alexander Gerst can be found here. Over the past 11 years, nearly 4500 students have participated in the VASTS online course. Over 400 students have participated in the VESSS online program in the three years it has been in existence. Space Coast, which began in 2012, has hosted almost 600 students in the online course.